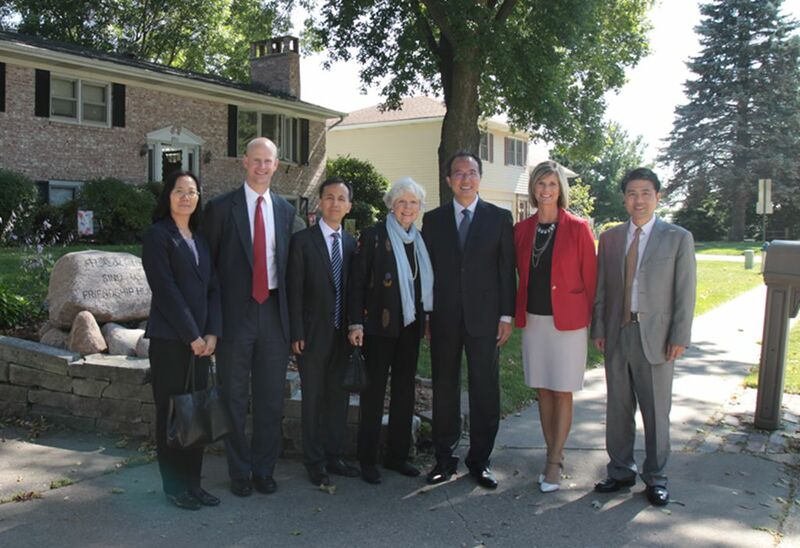 On September 20, Consul General Hong Lei visited Mrs. Sarah Lande, her husband Mr. Roger Lande, Mr. Tony Joseph and other old friends of China in Muscatine, Iowa. 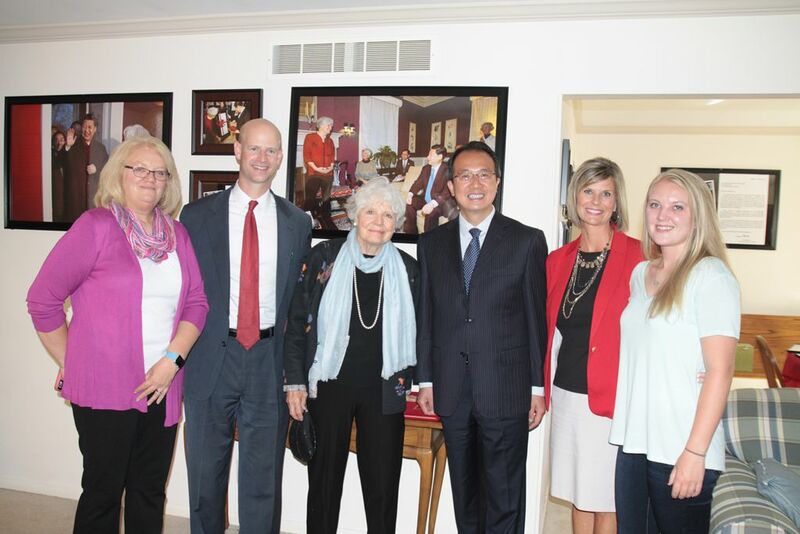 At their house, Mr. and Mrs. Lande showed Consul General Hong Lei precious photos of President Xi Jinping’s two visits and fondly recalled President Xi’s visits to Muscatine as well as their visits to China. Mrs. Lande said that she was honored to witness the development of the friendly exchanges and cooperation between Muscatine and China. With deepening friendly relations between the two sides, she hopes the friendship between the Muscatine people and the Chinese people continue to consolidate and develop. 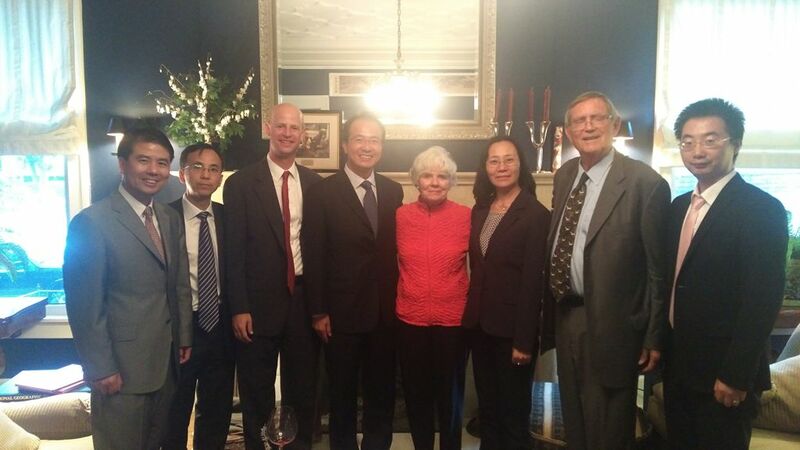 Consul General Hong Lei said that Mr. and Mrs. Lande and other old friends of China have long been committed to promoting China-US friendship, especially Muscatine and Iowa’s friendly cooperation with China, and have made great efforts and important contributions in this regard. Consul General Hong Lei expressed his highest appreciation to the old friends’ affection for the Chinese people and said that the Chinese people greatly cherish this friendship and will continue to promote it so as to keep the tree of China-US friendship evergreen. Accompanied by Mrs. Lande, Consul General Ms. Hong Lei visited China-US Friendship House, where President Xi stayed when he visited Muscatine in 1985 as party secretary of Zhengding County, Hebei Province. In 2015, the City of Muscatine officially transformed this residence into China-US Friendship House. Consul General Hong Lei said that currently, China-US relations have maintained a good momentum of development and sub-national cooperation and cultural exchanges between the two countries have broad prospects and huge potential. The Consulate General would like to work together with the City of Muscatine to promote China-Muscatine cooperation and enhance mutual understanding and friendship between the two peoples. 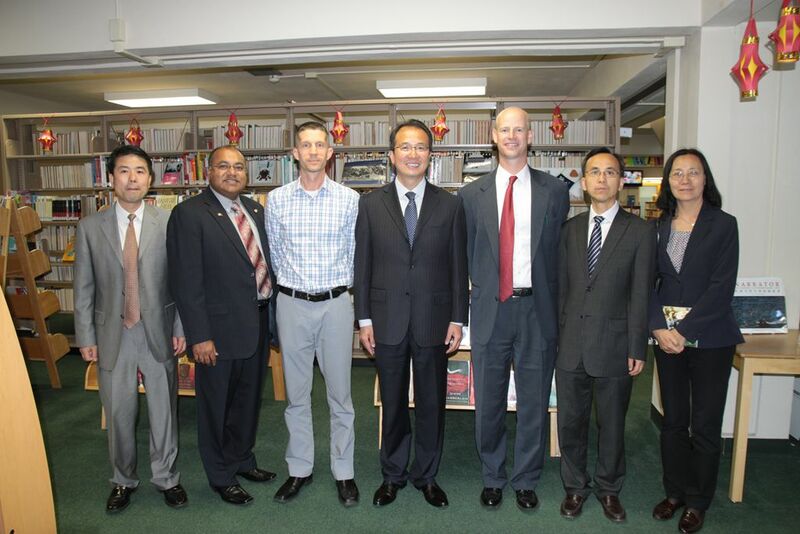 Consul General Hong Lei also visited Musser Public Library in Muscatine, which received 500 books in Chinese and English from Shanghai Library last year. The books are warmly welcomed by the local community. Deputy Consul General Liu Jun attended the above programs.